No matter what you’ve done before, in order to work at Google as a software engineer you have to pass the interview process. This entails at least 5 interviews, usually 45 minutes each. You will be asked about data structures, algorithms, testing, software design and general technical knowledge. 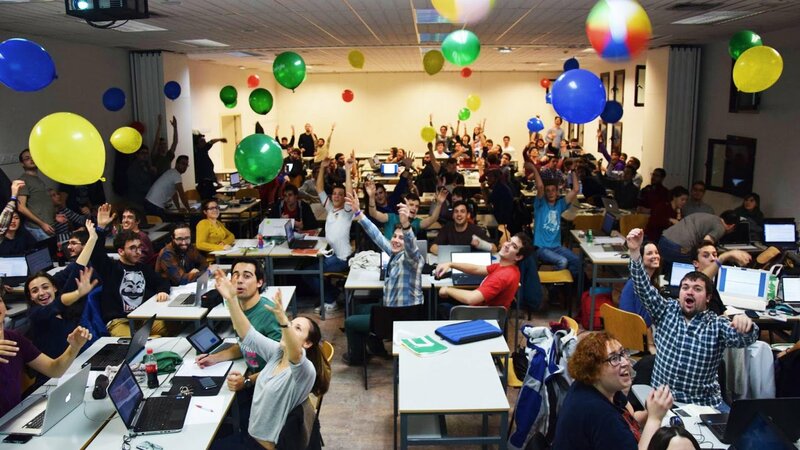 Google organizes a universal coding contest called Code Jam in which contestants from over 125 countries take part. The current Google Code Jam contest is underway, and you can prepare yourself to compete in the contest for the next season. There are multiple rounds to go through to be one of the top 15 finalists selected from different countries. The rounds are the qualification round, round 1, round 2, round 3 and the onsite finals. Even though it is tough to reach the finals, as a programmer, you should take part in it and be in the top 1000 coders in the Round 2. The rounds consist of algorithmic puzzles and you can enhance your skill in coding by participating in it. Getting in the top 1000 will strengthen your resume. This will open up your chance to apply for jobs in Google, and you can take part in Distributed Code Jam contest as well. Google also ships free T-shirts to the top 1000 programmers. Without further ado, let us guide you on how to prepare for it to progress as far as you can. One of the biggest reasons why so many coders participate in the contest is not just in top 100, 100, or being a finalist but for the thorough preparation sessions. There are unlimited resources provided by Google to prepare for the contest, and this is going to help you become a better coder. As a matter of fact, professional coders who are working in MNCs also take part for the same reason. Google APAC or as it is called now, Kickstart is something that coders all over the world look out for. It is more than just a Code Jam competition. And it takes more than programming skills to succeed in Kickstart. Performing well in Kickstart comes with a lot of perks including interview calls from Google either for a full time job or for internships. Programmers who are looking to move ahead in their career by enhancing their programming skills also find taking multiple rounds in Kickstart beneficial. Before actually taking the challenges you could practice by taking up past challenges. This would prepare you for the actual Code Jam challenges as well as help you work on your overall coding skills even if you do not plan to take up Kickstart. Each problem would come with a detailed description of what exactly has to be solved and the restrictions to be followed including any time limits given. This would help you solve the problem so as to obtain the desired output format with the given sample inputs. Expand your programming skills - You would have to write more than just code. A majority of the rounds would consist of algorithmic puzzles that would require knowledge about data structures and various algorithms. A working knowledge of Data Structures is indispensable in helping you come up with efficient solutions to such problems. Here is a complete list of the data structures and algorithms that you would have to familiarise yourself if you are serious about Kickstart. There are numerous online practice materials available for those aspiring to succeed in Google APAC. 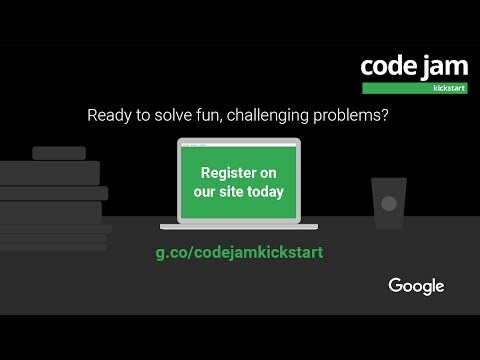 Check out the practice page on Code Jam portal for previous rounds, especially if you are attempting Kickstart for the first time. And when you know you are ready, check out the schedule for your region and join the next round. As one of the most anticipated programming contests, the Association for Computing Machinery - International Collegiate Programming Contest, has been popular among programmers for 13 years. It started small and has now expanded to a multi-tiered contest attracting participants from all over the world. This comes as a team contest and again involves algorithmic challenges like Kickstart. The awards that the top teams get themselves are great and as an additional advantage the winning teams also get noticed by several IT giants including Google. That’s why this remains on the top of the chart for those striving to land a job in Google. To begin with, all the teams that apply for would be taking up online challenges. The best teams would then be shortlisted and called for the actual regional challenges. There might be slight variations in the number of rounds actually held and to make it more challenging when there are competitive teams there might be bonus rounds added as well. Teams that perform well in regionals would then move on to compete at the world level finals. Each challenge given to the team would come along with time and memory limits to be adhered to besides the actual constraints. Incorporating all these, the teams would have to come up with a solution that would help resolve the given problem. The input to be tested would be given along with the exact format of output expected. There are online archives to find the best resources on tackling ACM-ICPC. Besides basic arithmetic skills the programmer teams would also require thorough understanding of algorithms, data structures and more. One of the most effective ways to prepare yourself for Google APAC, ACM-ICPC and other such programming contests is to take coding courses like the Competitive Coding Bootcamp.